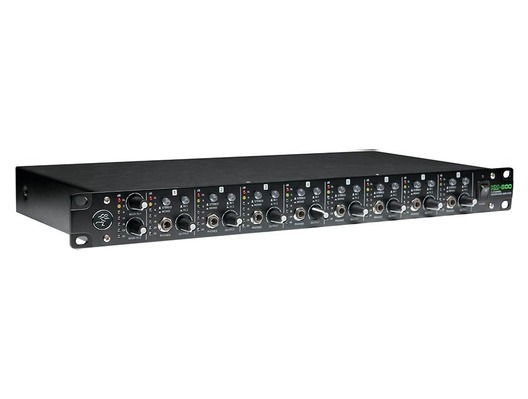 The Mackie HM-800 is a 19" rack-mountable headphone amplifier in the Mackie HM Series. It features 16 headphone outputs, allowing multiple pairs of stereo headphones to be connected - this means that up to 16 people can concurrently monitor audio with accuracy and ease. Ideal for professional applications in recording studios, practice spaces and other such venues, the HM-800 has two pairs of 1/4" main output jacks and two pairs of 1/4" main input jacks. The outputs can be connected to an additional headphone amplifier plus studio monitors or speakers. The extra inputs mean that you can connect the amp not only to a mixer but also to another audio source such as a computer if desired. 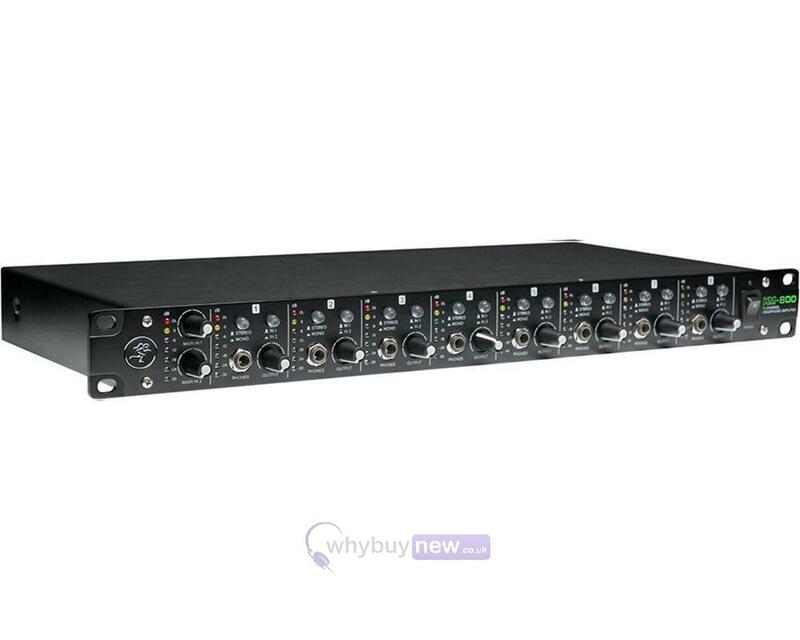 The 19" rackmount HM-800 8-Channel Headphone Amplifier offers up to 10 available mixes with a total of 16 headphone outputs. Perfect for professional applications including studios, Houses of Worship, practice spaces, and more. Featuring two discrete main inputs with level control plus stereo outs, aux inputs per channel.